Researchers have mapped the impact of an acquired mutation that alters the epigenetic identity in about 50% of prostate tumor samples, according to results published in Nature Genetics. The TMPRSS2 and ERG genes can change the epigenetic identity of tumors, leading to some of these genes being turned on while others remain off, explained Mathieu Lupien, PhD. “We are seeing that the fusion is changing the noncoding cis-regulatory landscape that influences which genes are turned on and off and the level of expression [that is present],” Lupien said. 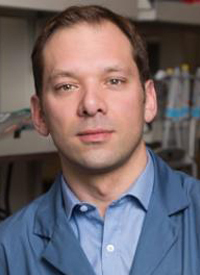 In an interview with OncLive, Lupien, senior scientist at the Princess Margaret Cancer Centre and Ontario Institute for Cancer Research, discussed this analysis of the influence of mutations on the epigenetics of prostate cancer. OncLive: Please provide some background of your research. Lupien: We had the chance to work on this as part of the Canadian Prostate Cancer Genome. This research involved patients with prostate cancer who had intermediate-risk disease and might progress. They had been profiled on the genetic level by our collaborators in the past. Their status was a common fusion between the TMPRSS2 gene and the ERG gene, generating a T2E fusion-positive subtype. We used those samples and profiled their chromatin and the histone modifications that define cis-regulatory elements. Working on the sample for which the genetic profile was known, we decided to characterize their epigenome. We specifically focused on an aspect of the epigenome that allows us to discriminate which parts of the genome-regulating genes are active versus inactive. We are characterizing this cis-regulatory landscape by profiling the absence of a lysine 27 trimethylation on histone 3. That gave us a map discriminating the T2E fusion-positive versus the T2E fusion-negative samples based on their cis-regulatory landscape. We realized that there are elements that regulate gene expression or are significantly different between the fusion-positive and fusion-negative cases. We began to investigate those differences to identify what was the discrimination in these subtypes. First, we saw that some elements were establishing what we refer to as cores, meaning clusters of regulatory elements, which others in the field have previously coined as the term “super enhancer.” Those regions have large domains of cis-regulatory elements that have been shown to be riveted to a cell identity as well as oncogenesis. One of these regions is overlapping the site of diffusion of TMPRSS2. It was believed that the fusion was allowing for the promoter of upstream-regulatory elements of TMPRSS2 to regular ERG expression when there was a fusion-positive tumor. The second observation was that many of the cis-regulatory elements were created by ERG itself, which is a transcription factor. In cases where there was a fusion between ERG and TMPRSS2, ERG overexpression allowed for the novel cis-regulatory elements that were bound by ERG. They were the novel cis-regulatory elements that emanate from the fact that ERG overexpression and fusion positivity allow for ERG to activate the novel sites so that the new set of genes can be upregulated. At those sites, it works by co-opting, or hijacking, the intrinsic machinery of prostate cancer. All prostate cancers rely on the androgen receptor FOXA1 and homeobox protein HOXB13 for their development. In the T2E fusion-positive cases, they co-opt those factors that are present in the T2E fusion-negative cases and bring them to the novel locations. In other words, the system is not reinventing the wheel; it is using the entrance transcriptional machinery present in prostate tumors and brings them elsewhere. That adds value to those fusion-positive cases. All of this is put in place to induce a new transcriptional program that is distinguishing the T2E-positive versus the T2E-negative cases. In analyzing those transcriptional programs and cis-regulatory elements specific to the T2E fusion, we also could identify a new pathway that is actively engaged in the T2E fusion-positive tumors. That pathway turns out to be the Notch signaling pathway. Interestingly Notch signaling has been known as a driver of cancer and development for many years in different tumor types and has been the focus of drug development. There are some drugs that can antagonize Notch signaling, specifically the drugs that are part of the gamma secretase inhibitor family.